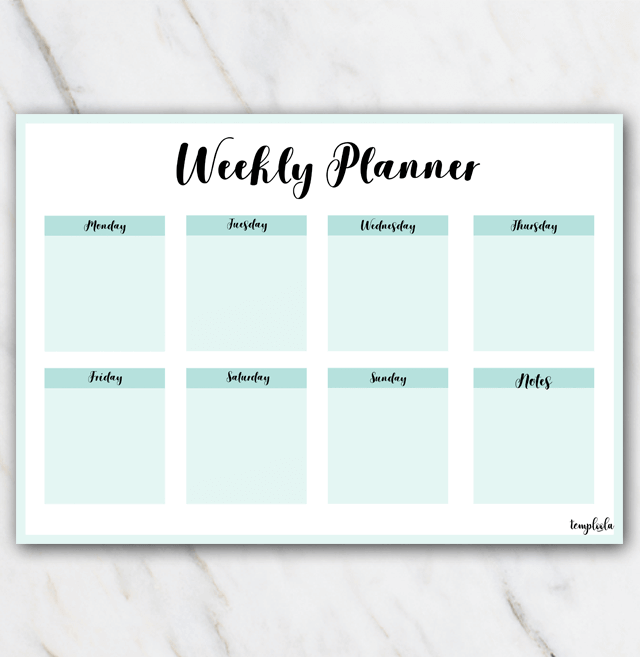 Wow, this printable weekly planner looks clean and fresh and minty colors. You can easily download the document via the 'Free download' button. Open the file and print the PDF document. There are more printable weekly planners just like this one, but they are also available in different colors and they are all for free! Check 'm out!